That’s the question on the minds of the people in Scotland. They’re voting on Thursday, Sept. 18. 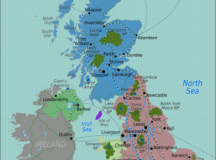 They will either vote to stay within the UK (United Kingdom) or to become independent. 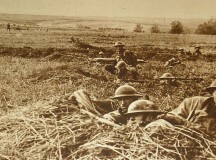 Special events were held around the world in August to mark the hundredth anniversary of the start of World War I. Prime Minister Stephen Harper attended a ceremony at the National War Memorial in Ottawa on August 3. He placed a wreath on the Tomb of the Unknown Soldier to honour all soldiers who have fought for Canada. 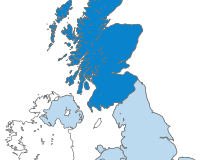 J.K. Rowling, author of the Harry Potter books, announced last week that she is giving one million pounds to the Better Together campaign. Some events are happening in Crimea and the world is taking notice of them. The small peninsula of Crimea, attached to the country of Ukraine, sits in the middle of Europe. Crimea is about half the size of the Canadian province of Nova Scotia; about two million people live there. Crimea is at the centre of a major political battle between Russia and Ukraine. The rest of world is watching that conflict closely. 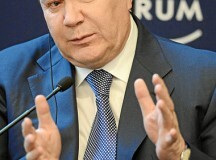 President Viktor Yanukovych was thrown out of Ukraine’s government last week. The former president called it a coup d’état, which in this case means that political power was taken from him by force. Ukraine parliament say they impeached Yanukovych. Several weeks ago, peaceful protestors took to the streets calling for the president to join the European Union. 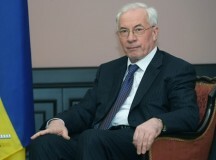 The Prime Minister of Ukraine, Mykola Azarov, resigned from his job on Tuesday. Experts say this should help to ease some of the tensions that have been building in that country. The tensions began in November when Ukraine’s president, Viktor Yanukovych, made a surprise move to bring Ukraine closer to Russia rather than European Union (EU). He asked Russia to lend Ukraine some money, rather than asking the EU for it. Ukraine needed the money to help its economy. Many Ukrainians had looked forward to a closer association with the European Union because they felt it would bring democracy to their country. Gunter Zettl won a radio contest in 1969. He correctly identified a song the radio station played, and he sent a postcard to the station with the name of the song (“Painter Man,” By The Creation). Last week, 45 years later, he was finally given his prize. The reason for the delay was political. 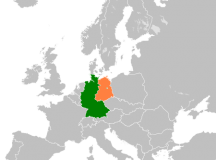 Following World War II, in 1945, Germany was seperated into two states: East Germany and West Germany. At the time, Zettl was a teenager living in East Germany. Pop music was banned in East Germany at the time. Canada has a new deal with the European Union. The agreement is expected to increase the amount of trade between Canada and many countries in Europe. Trade, in this case, is when one country buys something from another country and vice-versa. Prime Minister Stephen Harper has said the new deal could increase trade by 20 per cent, beginning in 2015, and add $12-billion to Canada’s income (the money it makes) each year. 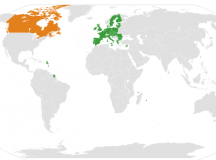 The new trade deal is called CETA, which stands for Comprehensive Economic and Trade Agreement. It is expected to create 80,000 new jobs in Canada. Canada and the European Union have been working on the new trade deal for the past four years. Canada’s largest trading partner is the United States, but increased trade with other partners is good so Canada is not as dependent on any single country. In Turkey, a country in eastern Europe, a huge protest has been taking place in the largest city, Istanbul. It started last week when the government wanted to make over a main square, taking away trees and building a shopping mall. It also planned to rebuild a historical building, a former Ottoman army barracks. 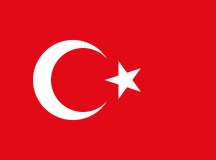 The Ottoman Empire was very strong in Turkey in the 16th and 17th centuries. Unlike Arab Spring, when many Middle East countries erupted with protests against the government, Turkey’s government has always been seen around the world as more tolerant than many of those countries. So when cause of the protests seemed to be a local problem, people thought is must be a very different kind of protest. On Tuesday, the people of the Netherlands got a new king. That’s because their queen, Queen Beatrix, abdicated the throne. Abdicated means she stepped down—stopped being queen—to let her son take over the throne and become king. Her eldest son is Willem-Alexander; he was Crown Prince and now is King. Canada and the Netherlands have a connection. During World War II, Beatrix’s family lived in Ottawa, Ont., Canada’s capital city, for five years. Beatrix’s younger sister, Margriet, was born in Ottawa Civic Hospital in 1943. At that time, a “federal proclamation” was made to declare the maternity (birthing) ward of the hospital “extraterritorial.” In other words, the room in which Margriet was born was declared neutral ground. That’s so the new royal baby would obtain Dutch citizenship through her parents, rather than Dutch plus Canadian (dual) citizenship because she was born in Canada. The Dutch royal family thanked Canada for allowing them to live in Ottawa during the war by giving Canada 100,000 tulip bulbs. They continue to send the bulbs each year to Canada. The tulip bulbs form the basis for Ottawa’s stunning annual tulip festival.